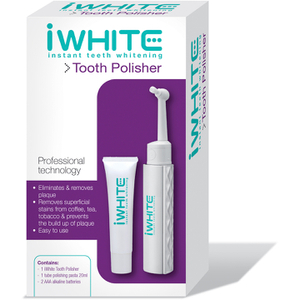 Perfect your Hollywood smile and whiten your teeth in the comfort of your own home with the expert iWhite products at Lookfantastic! 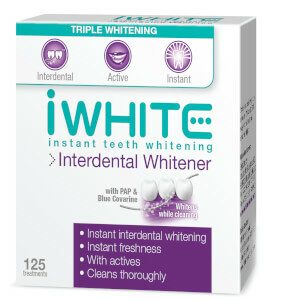 With a scientifically proven formula that contains no hydrogen peroxide, the iWhite Instant kit is designed to give you an immediate whitening effect after the very first application and, according to various clinical studies, is 100% dental safe. 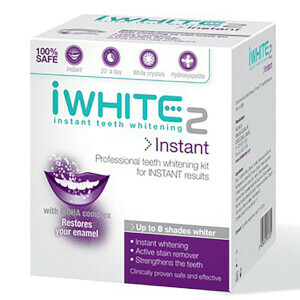 A safe and effective gel which uses FCC (Filmo-crystallized Calcium) Technology, the iWhite Instant Teeth Whitening Kit provides an instant whitening effect that removes stains and strengthens your teeth. Easy to use and 100% dental safe, the gel is designed for use with the thin and flexible tray mouthpieces, which ensure a comfortable fit, and can be worn for up to 20 minutes a day five times a week. Working to leave your teeth looking eight shades whiter, this revolutionary treatment will give visible teeth whitening results in the comfort of your own home. 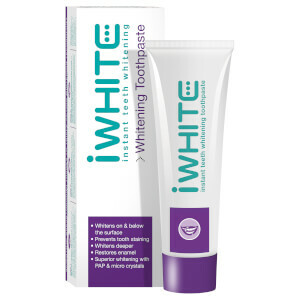 Designed for adults and children over 12 years old, the iWhite Instant Teeth Whitening Toothpaste helps you achieve noticeably whiter teeth using specialised ingredients to attack deep tooth staining. 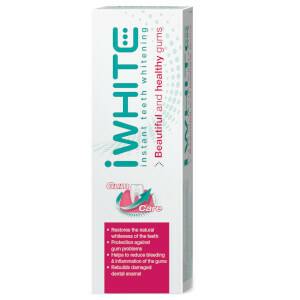 Perfect for twice daily use, this innovative toothpaste contains a unique whitening formula which fights against plaque and tartar as well as working to strengthen the teeth and restore enamel. 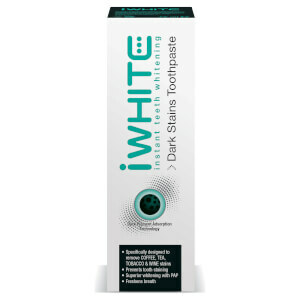 Helping to whiten your teeth whilst working to remove any remaining plaque after brushing, the iWhite's Instant Teeth Whitening Mouthwash is a must-have addition to your oral hygiene routine. Blended with fluoride to strengthen the teeth and blue covarine to give immediate results, this mouthwash is designed to dissolve tooth discolouration whilst discouraging the formation of new plaque on the teeth. Suitable for daily use by adults and children over 12 years old. 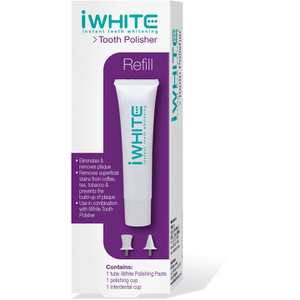 Anyone who wants a white, brighter smile is suited to the iWhite treatment, and now you can shop the full range on Lookfantastic with free delivery.